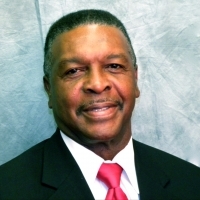 Dennis Woods is a lifetime member of the Zion Baptist Church. He currently serves as the President of the brotherhood ministry. He has served as an Usher, Sunday school teacher, Superintendent of the Junior Department and he sings in the Male chorus. He has participated in local, state and national brotherhood associations. Dennis has been a member of Zion for over 50 years and has been blessed under the Pastorates of G.W. Burton, J.W. Briscoe and Maurice Barnes.